You know I had to do my hometown. It was only right. Plus with Ghadir and the JJ's visiting today. I had to go ahead and A-Town stomp one time. So let me show you around my city. It's publicly known that I collect bottles. Not just any bottles. Coca-Cola. I have a pretty huge collection and always adding to it. This has nothing to do with that. When visiting Atlanta, have to visit the mecca. The largest business to come out of the state. We only drink Coca Cola in the south. I never heard of Pepsi. The World of Coca-Cola is a permanent exhibition featuring the history of The Coca-Cola Company—including its well-known advertising—as well as a host of entertainment areas and attractions, and is located in Atlanta, Georgia (where the company's headquarters are located) at Pemberton Place (named in honor of John Pemberton, the inventor of Coca-Cola). 20-acre (81,000 m2) as part of Georgia's museums. The complex is located across Baker Street from Centennial Olympic Park that is home to the Georgia Aquarium and the Center for Civil & Human Rights. It re-opened to the public on May 24, 2007, relocating from and replacing the original exhibit opened in 1990. I had such a love for this place when I was younger. We used to visit it at least once a year. It was the school trip that everybody looked forward to. Back when it was across from Underground Atlanta. With the huge spinning Coca-Cola logo. We used to go in and still be in amazement that Coca-Cola used to have cocaine in it. Kinda. 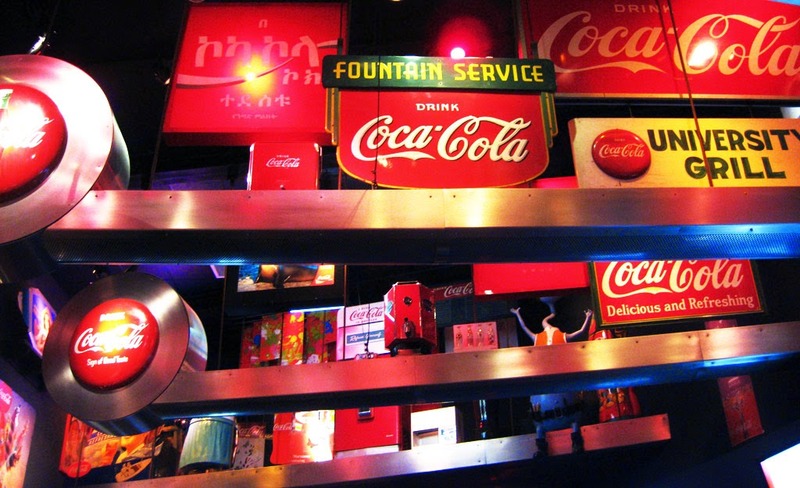 "After 1904, instead of using fresh leaves, Coca-Cola started using "spent" leaves – the leftovers of the cocaine-extraction process with trace levels of cocaine. Coca-Cola now uses a cocaine-free coca leaf extract prepared at a Stepan Company plant in Maywood, New Jersey"
Our eyes used to get all big when they said the word cocaine. That was a bad word at seven. We would then be took to the---- Now that I think about it. I don't want to ruin the tour for you by telling you what you will see. Before they moved to the new building in 2007. The tour was the same thing each time you go. With the new one, it's interchangeable. So it keeps up with the times and gives you a different experience with each visit. The new one is also bigger. 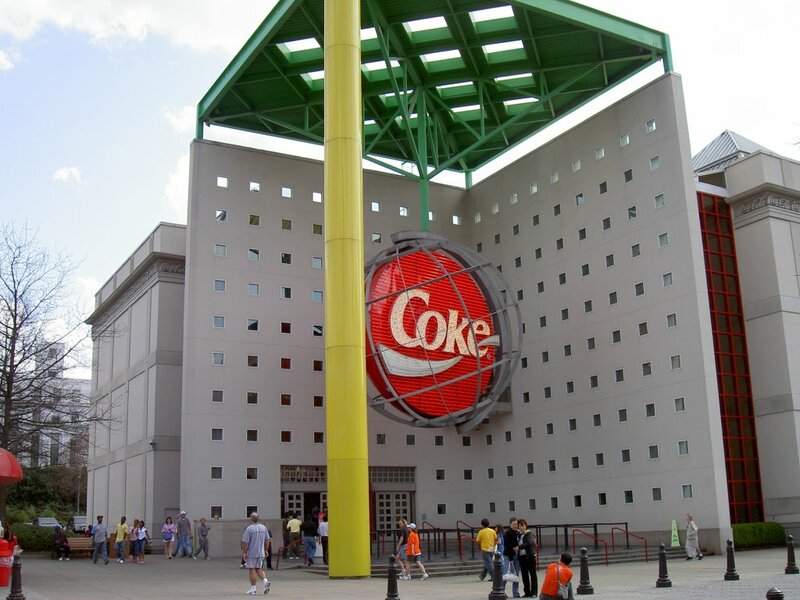 This won't ruin your trip: Around the end of the tour, you can try Coca-Cola from around the world. I loved the red cream soda. Some of my classmates, loved the beer one? I mean we thought it was a beer one. It might have just been a really funny taste. 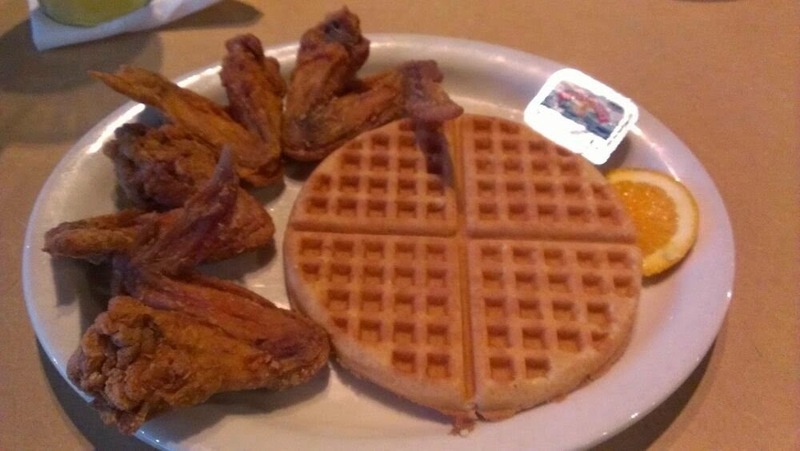 The concept of Chicken and Waffles was born in Harlem, New York in the 1930's. Wells served many celebrities as they hung out in the late night hours. Many of them could not decide if they wanted breakfast or dinner-Wells gave them both! 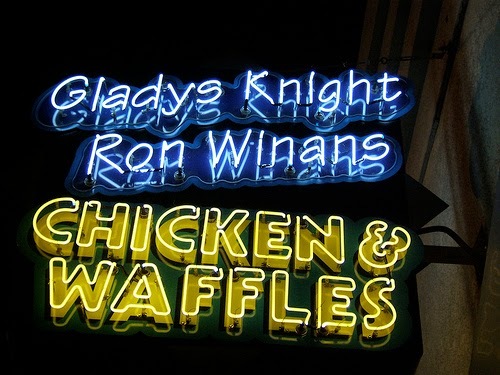 Gladys Knight continues the Chicken and Waffles tradition. Gladys Knight, together with her son Shanga Hankerson, developed Gladys Knight's Chicken & Waffles Concepts featuring Gladys Knight's Signature Chicken & Waffles and Gladys Knight's & Ron Winans' Chicken & Waffles. Shanga's additional connection to the restaurant industry started very early when his father introduced him to working in a butcher shop in Detroit, Michigan. For a period of time, the family also had a restaurant and learned the pitfalls of owning a restaurant. The hard work in the butcher shop and the first experience of owning a restaurant did not deter Shanga. He continued to display a strong desire and passion to stay connected with restaurants. Shanga had a dream of starting his own restaurant some day -A restaurant that would serve the food that he had grown up with, while also adding to the legacy of his mother. Gladys Knight's Chicken & Waffles Concepts™ has proven to be a dream come true! Babyland General Hospital is the "birthplace" of Cabbage Patch Kids and is located in Cleveland, Georgia. Roberts converted an old clinic into a retail unit and mini theme park from which to sell his dolls, originally called "Little People". 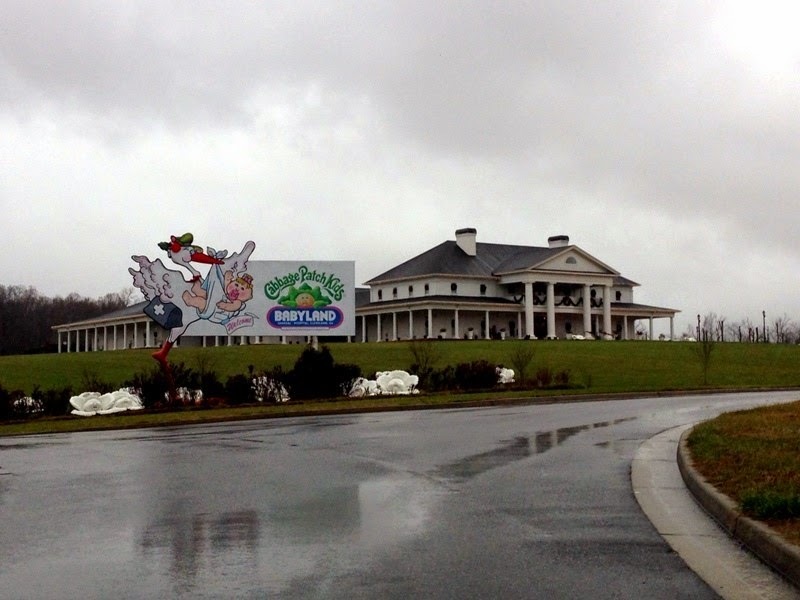 The facility is presented as a birthing, nursery, and adoption center for premium Cabbage Patch Kids. In accordance with the theme, employees dress and act the parts of the doctors and nurses caring for the dolls as if they are real neonates. Did I mention that admission is free? 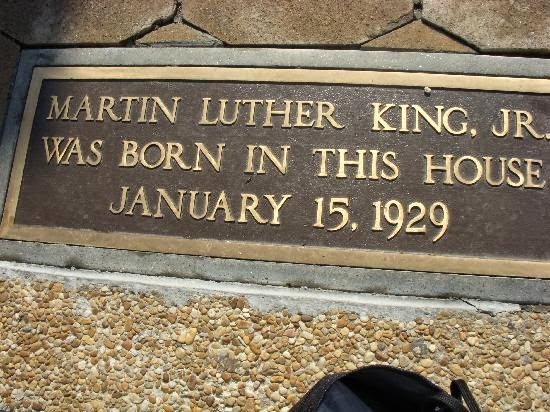 Martin Luther King Jr. National Historic Site established on October 10, 1980, consists of several buildings surrounding Martin Luther King Jr.'s boyhood home on Auburn Avenue in the Sweet Auburn historic district of Atlanta, Georgia. The original Ebenezer Baptist Church, the church where King and his father Martin Luther King, Sr. pastored, is also part of the national historic site. 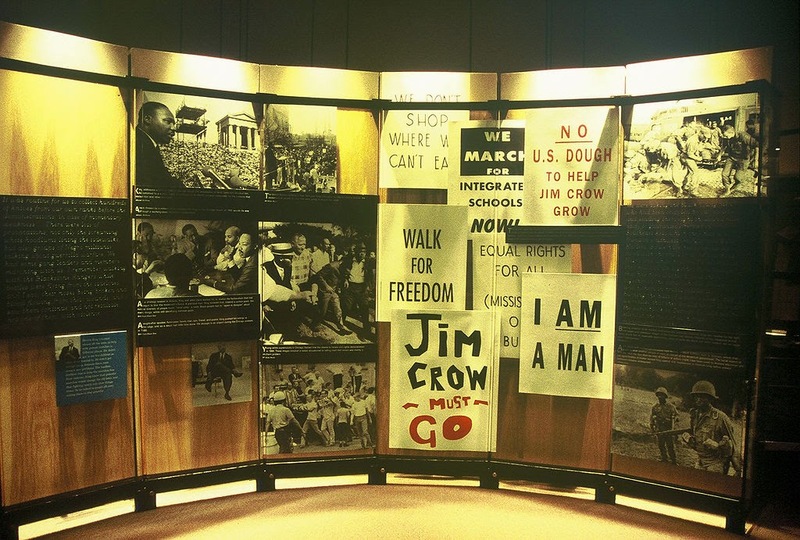 These places are critical components in the interpretation of the life of Martin Luther King Jr. and his legacy as a leader of the American Civil Rights Movement. In total, the buildings included in the site make up 35 acres (0.14 km²). The visitor center contains a museum that chronicles the American Civil Rights Movement which follows the parallel paths of Dr. Martin Luther King Jr.. A firehouse (Fire Station No. 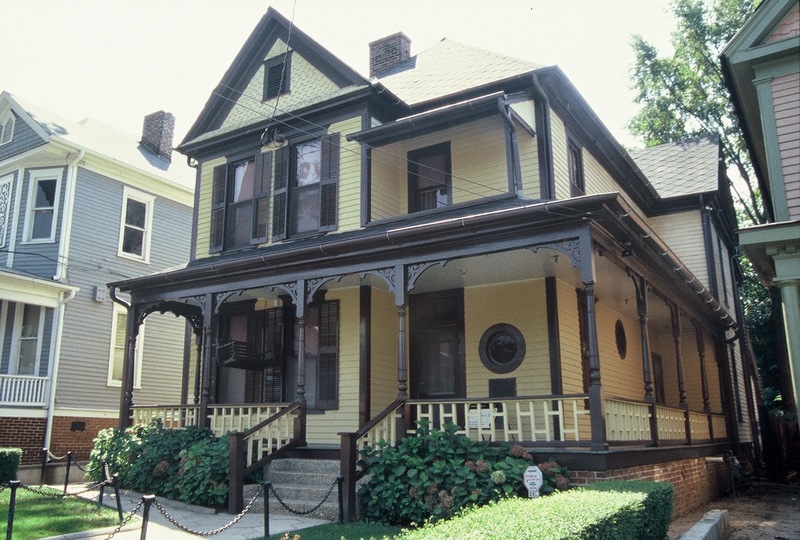 6), built in 1894, served the Sweet Auburn community until 1991, and now contains a gift shop and an exhibit on desegregation in the Atlanta Fire Department. The “I Have a Dream” International World Peace Rose Garden, and a memorial tribute to Mohandas K. Gandhi. Also of interest is the "International Civil Rights Walk of Fame" which gives recognition to some of those courageous pioneers who worked and sacrificed to make equality a reality for all. 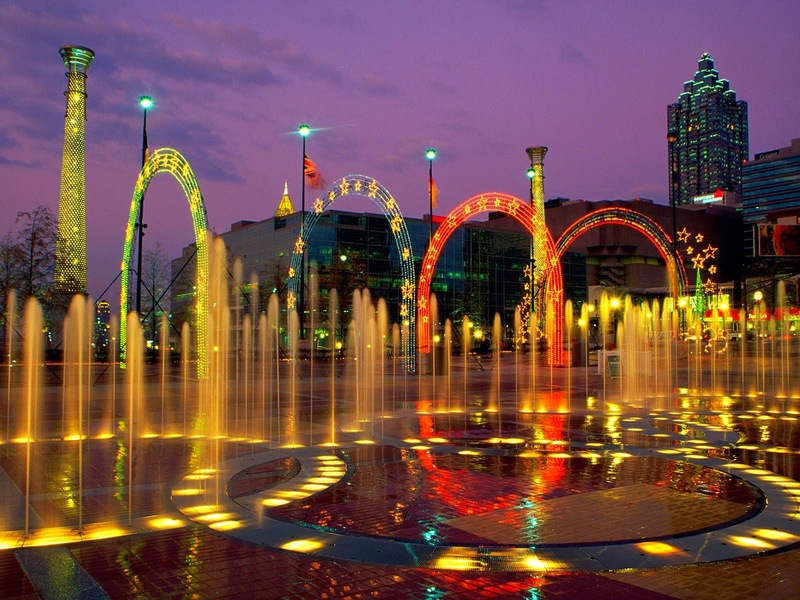 Centennial Olympic Park is a 21-acre (85,000 m2) public park located in downtown Atlanta, Georgia owned and operated by the Georgia World Congress Center Authority. 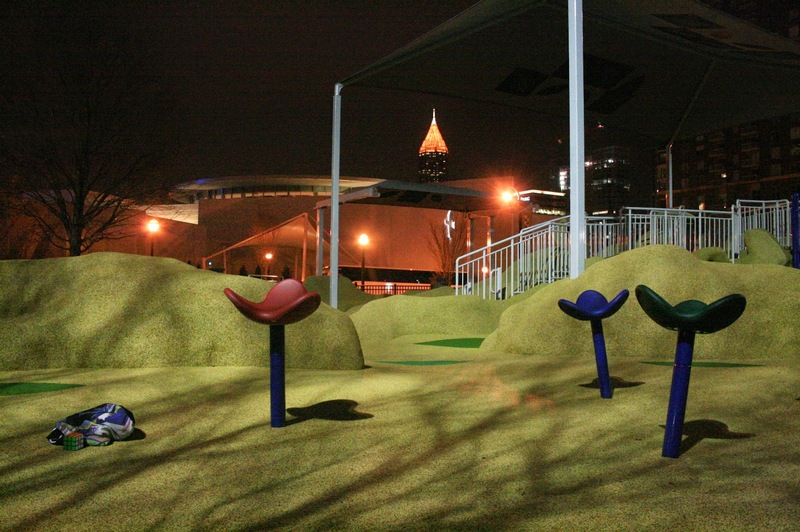 The park was built by the Atlanta Committee for the Olympic Games (ACOG) as part of the infrastructure improvements for the Centennial 1996 Summer Olympics. The park plays host to millions of visitors a year and several events, including a summer popular music concert series (Wednesday WindDown) and an annual Independence Day concert and fireworks display. This is the first place where Jacob followed his first booty. It was around the playground. A lady walked by and Jacob (like four at the time) started to walk behind her. I started to follow him, cause again, he's four. So anyways, she walking and starts to turn in the walk way. Jacob almost walked right into her booty. That's how close he was on her. I don't know what he was going to say but I'm sure he had it all mapped out in his head. We will never know. It started to rain and we have to flee to the car. Maybe next time Jae. Towering nearly 20 stories above Centennial Park, the SkyView Ferris wheel features 42 climate-controlled gondolas providing guest with breathtaking panoramic views of downtown Atlanta and the surrounding metropolitan area. Those looking for an even more enhanced experience will enjoy our VIP gondola boasting Ferrari leather seats, glass floor and a longer flight time. And, with its convenient location just steps from many of Atlanta’s most popular attractions, SkyView Atlanta is the perfect compliment to your downtown adventure. SkyView. You can see Atlanta from here. Zoo Atlanta is an Association of Zoos and Aquariums (AZA) accredited zoological park in Atlanta, Georgia. The zoo is one of four zoos in the U.S. currently housing giant pandas. Stone Mountain is a quartz monzonite dome monadnock and the site of Stone Mountain Park in Stone Mountain, Georgia, United States. At its summit, the elevation is 1,686 feet (514 m) MSL and 825 feet (251 m) above the surrounding area. Stone Mountain is well-known not only for its geology, but also for the enormous bas-relief on its north face, the largest bas-relief in the world. The carving depicts three figures of the Confederate States of America: Stonewall Jackson, Robert E. Lee, and Jefferson Davis. The Georgia Aquarium is a public aquarium in Atlanta, Georgia, United States. It houses more than 100,000 animals, representing 500 species, all of which reside in 10 million US gallons (38,000 m3) of marine and fresh water, and is the largest aquarium in the western hemisphere. I talked about them in a post before.Stan makes the best ribs that you will ever have in your life. 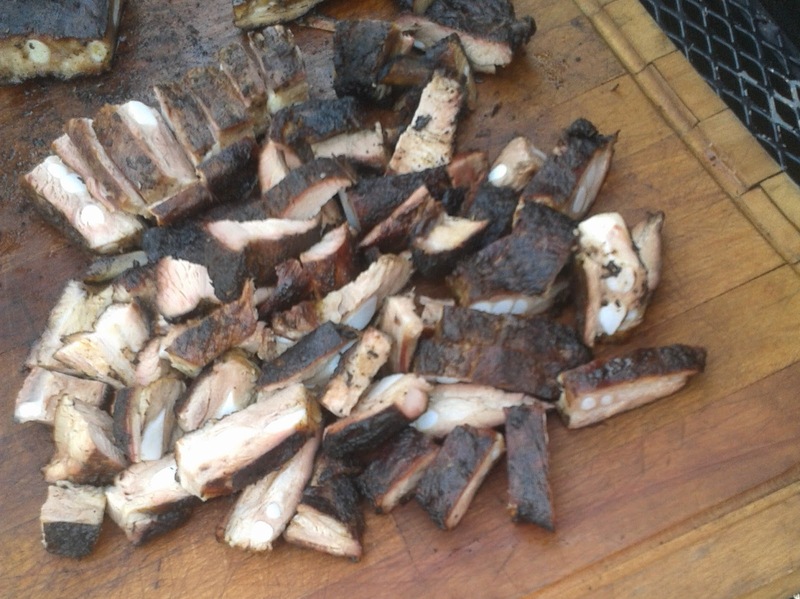 Smoked for three hours, the ribs are ready to fall right off the bone. I have seen people buy a plate and come back a couple hours later to buy three more. I'm lying, this lady came back about thirty minutes later. I help out as the Sous Chef sometimes. So you might see me out. So make your way over to the west side of Atlanta. Saturday- Sunday. 1pm-7pm. We sell out fast, so don't mess around and miss out on the Chicken and Ribs. This is just a little to get you started. Welcome to Georgia.